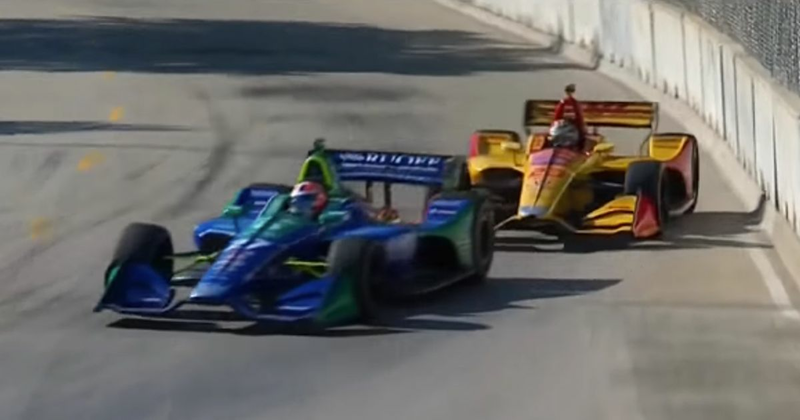 IndyCar is usually exciting because the number of caution periods and accidents on tricky circuits keep the field close together and good results can get opened up to those willing to gamble on strategy. That, and the fact that the cars can actually follow each other closely. But the second of the weekend’s two races in Detroit was, simply, a classically brilliant race (apart from the bizarre safety car crash at the start, anyway!) and one which anybody who wants to see refuelling back in F1 would enjoy. Alexander Rossi had led most of the race on a two-stop strategy, whilst his Andretti Autosport teammate Ryan Hunter-Reay was trying his luck on a three-stopper. It looked like Rossi had the upper-hand and had a comfortable lead heading into the closing stages, but then Hunter-Reay started massively gaining, setting up this thrilling finish.